What happens when hot water leaks from a boiler at Cal Poly in San Luis Obispo? Roads are closed, buildings are evacuated and the hazmat team is called out. On Monday, Hazmat teams came out to the Cal Poly campus over a substance eventually determined to be hot water that leaked from the central plant boiler, according to the university police department. 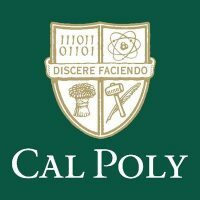 Cal Poly initially sent out an alert saying a hazardous substance was found in the parking lot between buildings 41a and 41b. Authorities evacuated buildings 41, 13 and 7 and instructed members of the community to stay clear of the area. Authorities closed California Boulevard to vehicle and pedestrian traffic. Additionally, North Perimeter Road was closed from University Drive to California Boulevard. Classes were not taking place on Monday. Cal Poly’s spring quarter begins on Tuesday.